We know that renting an apartment can be stressful. 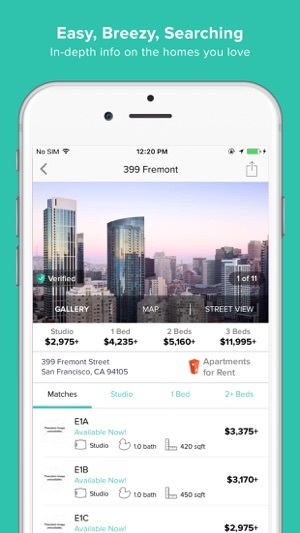 We make it a breeze with the HotPads home and apartment finder app! Peruse the largest collection of available homes for rent and real estate in the U.S. Whether you’re looking for place in San Francisco, Los Angeles, Denver, Dallas, Chicago, New York, Boston, Washington D.C., Atlanta, or Miami, we’ve got the places you want and you can search for them on-the-go. Our rental search team of wizards work their magic 24/7 to provide the most accurate and up-to-date rental listings just for you. 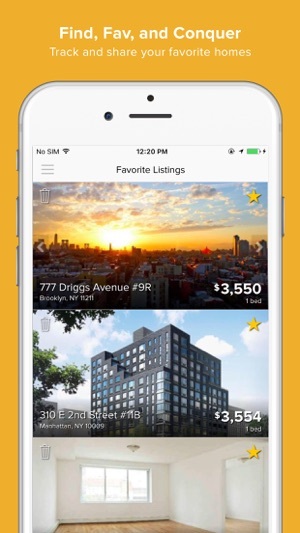 Quickly contact landlords, gawk property photos, explore area stats, and save as many favs to your Favorites as you like. 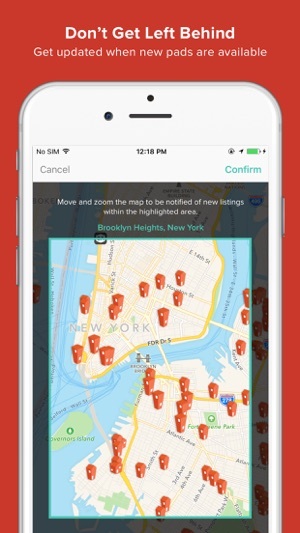 - Search Alerts: No need to constantly check up on new apartment or house rentals. 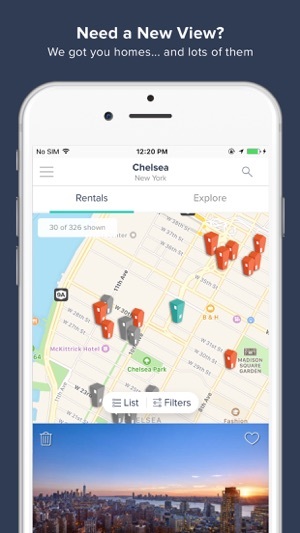 Name your price on quintessential neighborhoods and our search alerts will notify you when new rentals are listed! - Share Listings: Sharing is caring! Show off cool homes you’ve found with all of your friends (don’t be shy!). 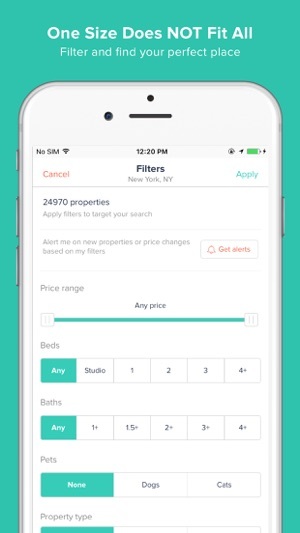 - Advance Filters: Fiddle with the filters to find senior housing communities in Miami for grandma, student housing for your high school graduate in Austin, or cheap low-income restricted houses in Atlanta. Our filters allow you to find homes tailor-made to your exact needs. - Listing Views: Enjoy the view? Choose between our List View, Map View, or Hybrid View to make your way home easier and faster. Let’s get you home, today! "I've moved a lot in the last 5 years in Chicago and I always come back to HotPads. Great app!" Added the ability to filter homes by Amenities. Improved home details page and notifications! Thanks for using HotPads! We've been listening and have heard your feedback loud and clear, So we fixed a bunch of bugs and made improvements to make HotPads faster and better. Love this new version? Please take a moment to write us a review - your feedback is greatly appreciated! For all other comments, concerns and suggestions, please email us at iphonesupport@hotpads.com - we're listening!! Thank you for providing this feedback, we are happy to hear about your positive experience. If you have questions or need help in the future, please reach out to us at iphonehelp@hotpads.com. Parking NOT included in rent! Users of this site should be aware that some of the information in the description and amenities sections, as well as the price, are frequently wrong. I won't list all the the inaccuracies I have personally been made aware of, but 2 recent ones were particularly irritating. Both listed the price as gross when they were actually net effective. Fine for a one year lease, but alters the math on a 2 year or longer. The most irritating thing was that both listed parking as included in the rent. This was stated explicitly in both listings. Yet, one broker said that was information that was no longer accurate and updated on the feeder site weeks ago. The other broker says that was never accurate and that parking wasn't ever available. She added that, if it ever became available, it would be a rental space from another deeded spot and the apartment that HotPads claimed included parking did not have a deeded spot. Where did HotPads get that info? I love the map function of HotPads, but you must confirm all of the information about the apartment you're looking at with the broker before you waste your time looking at an apartment that will cost hundreds of additional dollars a month on parking. Many apartments or condos for rent in resorts do not list roommate information. This must b thoroughly known before an ad is listed. I found a nice 2br apartment in Aspen for $2500 per month ... ok ... but was not inform on the add it was for a roommate. Thus, I cancelled the showing immediately and found 17 other ads around resort and towns especially in Colorado like the one I mentioned. Marketers who set up these ads need to insure the info is correct which many ads for apartments misguide future tenants. Also, it is ILLEGAL per Colo Statues to deny rent to someone with a guide dog ... federal and state law. Apartment Management can be heavily fined at both levels or even sued for denying this kind of service even when it says “No Pets Allowed” ... think people before having any ads of apartments posted! It might cost u more to list than u think. Know your fair housing act at both state and national (federal) levels.